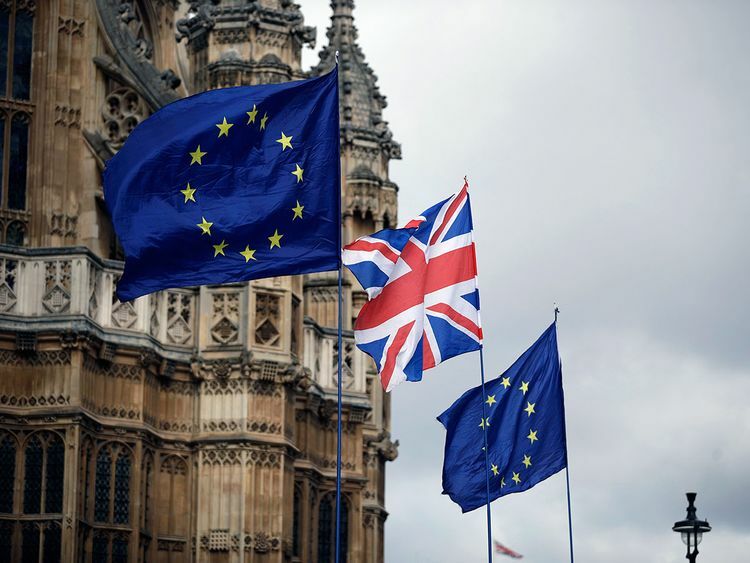 LONDON: One of the most influential Brexit-backing lawmakers in Prime Minister Theresa May’s party gave the strongest hint to date on Monday that rebels might back her departure deal, saying that a bad exit accord was better than staying in the European Union. “No deal is better than a bad deal but a bad deal is better than remaining in the European Union in the hierarchy of deals,” Rees-Mogg told LBC radio. “A two-year extension is basically remaining in the European Union.” Rees-Mogg said his dream option would be a no-deal exit on March 29 but that he felt May — a former supporter of EU membership who won the premiership in the turmoil that followed the 2016 Brexit referendum — would seek to stop a no-deal. “The question people like me will ultimately have to answer is: can we get to no-deal instead? If we can get to no-deal instead, that is a better option ... but I am concerned the prime minister is determined to stop a no-deal.” May’s deal, a bid to keep close trading and security ties with the EU while leaving the bloc’s formal political structures, was defeated by 230 votes in parliament on Jan. 15, and by 149 votes on March 12.
understandably doubtful MPs (members of parliament) by answering some basic questions”.